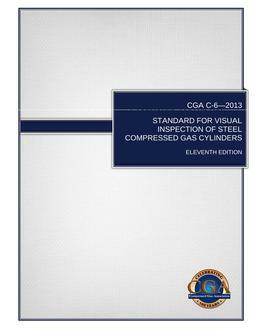 This standard provides cylinder users (requalifiers, owners, fillers, operators, etc.) with criteria to accept, reject, and condemn steel compressed gas cylinders. 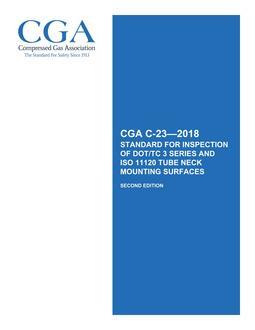 This standard does not cover all circumstances for each individual cylinder type and condition of lading. Inspection procedures include preparation of cylinders for inspection, exterior inspection, interior inspection (if required), nature and extent of damage to be looked for, and some tests that indicate the conditions of the cylinder, etc. A sample inspection report is shown in Appendix A that may be revised to suit the user's requirements. Previous editions cited in 29 CFR and 49 CFR.